Eating healthily, or the broader science of nutrition, have become an over-complicated, faddy, and for some, confusing part of everyday life that should, in essence, be easy. Food is the foundation of our physical and mental health, energy, mood and daily function, so what could (and should) be simpler than nourishing ourselves properly every day? In truth, it IS simple, particularly when you understand some key jigsaw pieces of information about the body and brain, and how the jigsaw should be put together. In this course, I take you through a foundational understanding of food, nutrition, health and daily diet for you or your whole family over six months, combining monthly meetings via Zoom, with modules building into a manual of information and video, and membership of a closed group for students. Ask questions in the group between our meetings where we’ll go into the content in depth (for intricate in between queries, I’ll answer with FB lives), and meet me and your fellow students in there as often as you like. All students finishing the course will receive a certificate of achievement. Treat yourself and your loved ones to the best of health every day. It’s easier than you think! Eat better, feel better, do more…. BOOK YOUR PLACE IN THE VIRTUAL GROUP HERE! Payment plans also available, please contact me for details. Contact me to secure your place with a deposit. This course is not suitable for professionals wishing to bring nutrition into their practice – you can train as a Functional Food Coach in Plymouth, London or in a virtual class by applying here: Become a Functional Food Coach for a truly holistic practice! Those on payment plans will be expected to commit to making all payments, regardless of continuing to attend group sessions as space has to be paid for in advance. Due to the nature of the material, no refunds will be given. If you have an queries about the course or content, please contact me to discuss them before joining. Delicious dipping for endless energy! One of the things that I end up talking about a lot, whether in classes or with clients, is the importance of keeping blood sugar balanced throughout the day. Avoiding the late morning or mid afternoon slump that has us reaching for a quick fix is a key factor in sidestepping a number of niggles that you may not associate with plunging blood sugar levels. It’s not always the obvious symptoms like hunger that signify a need to fill the tanks. Other symptoms might be things like fatigue, headache, dizziness, irritability, feeling slightly wobbly, or even feeling anxious without a real reason. Resolve this by ensuring that you have a good breakfast with a major protein component (whether that be something like eggs, yogurt, or nuts and seeds), and have decent snacks prepared if there is a delay of longer than 3-4 hours between breakfast and lunch, and lunch and dinner. The best snacks for maintaining blood sugar levels are protein based too – in fact, all meals and snacks should be a combo of protein and complex carbs with a bit of healthy fat for prime nutrition and fuelling. Is it difficult to do in the everyday run of things? Not if you are prepared, and even that preparation is often just a chuck in and whizz exercise! 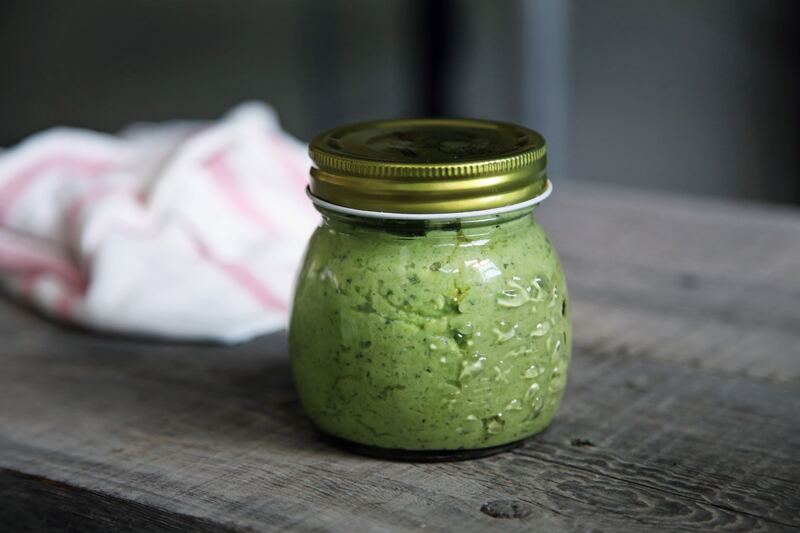 This is one of my two favourite dips – not only is it quick and easy, it’s full of all round fresh goodness, keeps well to last through the week, it’s easily transportable for going out and about, and absolutely delicious! For all of us ladies over 40, edamame beans are obligatory for getting the best soya phyto-oestrogens in the most natural, healthy form. Stay away from the processed soya like meat replacements, milks and yogurts that are just frankenfoods, and eat this Grab edamame beans from most supermarkets in the frozen section, or just pop into a Chinese supermarket. Lovely and light, perfect for the return of the light as we hit spring and look forward to summer! In a food processor, whizz up all the ingredients except the lime juice and seasoning until the lumps have blended out. Add the lime juice and seasoning until you’ve reached your desired taste and consistency. Serve with the seeds scattered over the top, and dig in with veg crudités and wholegrain crackers. Do you need eating plans for your clients? Do you need professionally designed, nutritionist formulated eating plans or resources with a proven track record of success for you to use with your clients? Health professionals can white label my tried and tested eating plans and resource packs to reflect their own brand or business. All my Easy Start Eating Plans are available for white labelling via two levels of package, whether you would like my designer to design, brand and present your chosen plan or plans or use your own design professional. The end result will suit your business and reflect your area of practise. The packages also include a licence to use the content as you wish for a year, after which you can renew annually for the basic licence cost only. Altogether this is an effective way to bring professional nutritionist-standard eating plans and resources to your clients as part of your business model, and as a extra element in your work, helping your clients to improve their holistic health with real food solutions that address their bodies and brains on a multi-system level, repairing and re-establishing a functional food foundation for optimal health. If you would like to discuss the available plans and their suitability in depth, please contact me to set up a call – I’d be happy to help. To check out the available plans, and for full details, click the link below. Vegan eating is gaining popularity and ground as a diet that’s better for our bodies and the planet. A plant-based diet can be very nutritious IF it’s done properly. Too often becoming vegan can result in simply cutting out meat, dairy, and animal products without considering what unique macro and micro nutrients need to be substituted in other ways. Removing significant sources of essential nutrition can result in health issues, defeating the object of changing our diet to be healthier! So, if you’d like to try a vegan diet, want to ensure that your diet is giving you everything you need, or just want to see what the possibilities are and add more animal-free meals to your diet, this class is for you. You’ll learn exactly what and how to eat for blooming, plant-based health, cook a selection of delicious vegan meals, and take away the information and recipes you need to carry on cooking at home. This is a very popular class and sells out quickly, so book early to ensure a place! Early bird price of £45 applies if booked by March 31st, subject to availability. Full price of £55 after this date. Please note, booking closes on May 26th to allow for ingredient purchase, information production, and staffing. T&Cs: bookings for events are non-refundable, but attendance can be transferred to another event or a later date at my discretion if I’m informed a week or more prior to the event, or two weeks prior for a cookery class. Prices will be increasing significantly for future classes to cover increased costs – to take advantage of this class at an amazing price, book one of the remaining spaces. Also note that you will be added to an email list to be sent joining details and event information, plus any resources. Your data is kept safe and secure at all times on a dedicated email platform. You will not be sent marketing or other newsletters unless you create an account on the website or sign up via my Facebook page to receive my free resource. Early Bird price of £10 valid until November 25th! Hit the seasonal madness running and start 2018 off with the best, most achievable and most lasting resolutions you’ll have made in years! 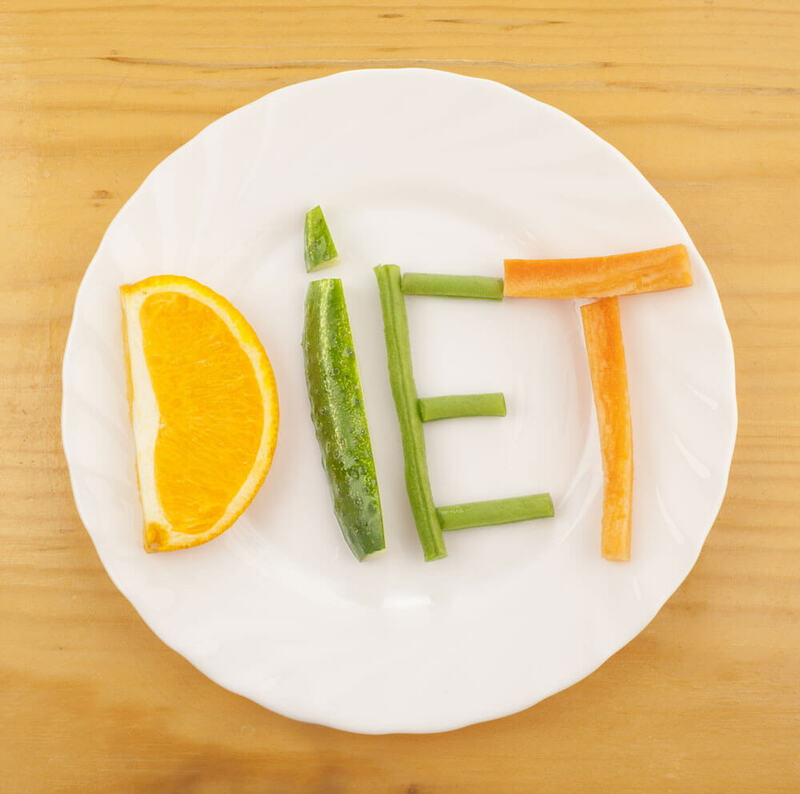 Diet has become one of most over-complicated, faddy, and for some, confusing parts of everyday life that should, in essence, be easy. Food is the foundation of our physical and mental health, energy, mood and daily function, so what could (and should) be simpler than nourishing ourselves properly every day? In truth, it IS simple, particularly when you understand a few key pieces of information about the body and brain, and stop making the top 3 mistakes that make you feel stressed, struggling and in a sleepy slump come mid-afternoon! The small changes you can make as soon as you have finished listening to this 45 minute online session will have immediate effects and create a ripple of improvement in how you feel, function and achieve. This class is one that I ran internationally online: the event comprises access to the class recording followed by a live Q+A for you to ask any questions you have about the content or how you are applying it to your own daily health and eating. Are there any other bits of advice you need? The live session will be a great chance to get those sorted. You’ll be sent a link and password to access the class as soon as you purchase, so you can listen as many times as you like before the live Q+A session that I’ll be holding in December. The Q+A will be recorded and sent to those who can’t attend live, so you miss nothing. You’ll also have access to my private Facebook group where you’ll be able to ask questions not covered in the Q+A. Treat yourself to the best of health for the winter season, and in 2018! It’s easier than you think! Eat better, feel better, do more…. If your consumption of sea vegetables thus far on your culinary journey has been limited to a bit of sushi from the supermarket, then you’re missing out. Whether it’s for flavour or health, seaweed is a fantastic food to add to your diet, and best of all, it doesn’t have to be from imported sources at the health food shop or oriental market. Our shores are teeming with varieties of seaweed that are not just edible, but absolutely delicious too. Even more surprisingly, those of you who are currently thinking that seaweed is the last thing that you would want to eat may change your minds when you taste dulse, one of our most commonly found varieties – it tastes like bacon when it’s cooked. Maybe not as convincing as a bacon sandwich, but still, not exactly what you might expect. So, what is it, and how do we make the most of this natural harvest right on our doorstep? Dulse is part of a large family of edible saltwater plants and algae that also include more readily known varieties like nori and kelp. Like all edible seaweed, dulse provides a wealth of nutrients, fibre and protein, rich in vitamins, trace minerals, healthy fatty acids, and antioxidants. It’s easy to buy dried dulse, and as its nutritional value doesn’t degrade after it’s converted into powder or flakes, having some on hand to sprinkle into salads, soups and stews is convenient. Store it in a dry and dark place and it’ll last for at least two years, making it truly a go-to health booster to use in all kinds of ways. 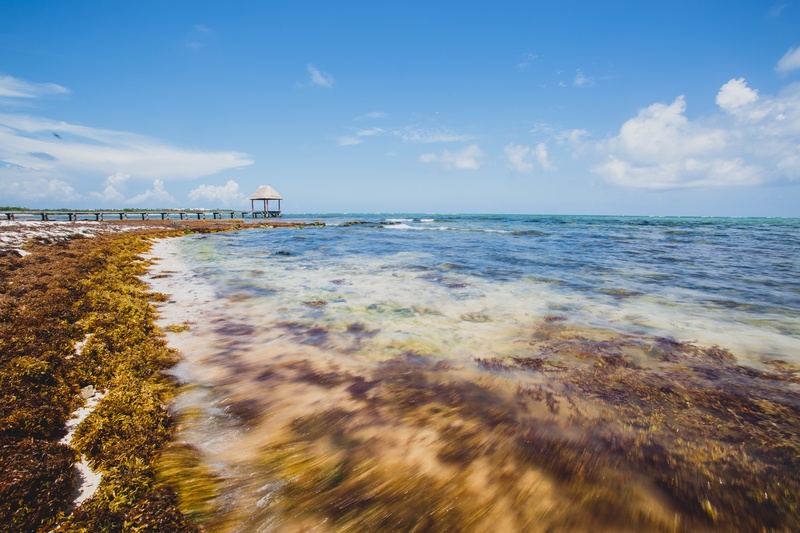 The assumption that seaweed will taste a bit too, well, seaweedy, has doubtless put many people off trying it at all, but with the accessibility, sustainability, and variety of uses, surely it’s something that we need to consider as conscious consumers. The big bonus is in the health benefits – while all natural foods have distinct and purposeful nutrient profiles, seaweed is a truly exceptional all rounder. Just some of the health benefits of dulse include its ability to protect vision, boost the immune system, build bone health, optimise the function of the thyroid gland, increase growth and repair, support the gastrointestinal tract, lower blood pressure, strengthen the brain and nervous system, and boost circulation. A fantastic food, and a great focus for your next beach visit! To achieve that bacon-like effect, pan-fry some dried whole-leaf dulse with oil over medium-high heat until crisp, then make up your dish or sandwich. Delicious! Another way to use dulse, or any other seaweed that you have chosen, is to cut strips from a sheet, or take some larger flakes, and allow them to float gently in this lovely broth. Health in a bowl! Pour the required amount of bone broth or stock into a pan, bring to a gentle simmer, and add a teaspoon or two of miso paste, stirring to dissolve. Add the garlic, ginger, meat/fish/tofu, and sliced veg and simmer very gently for a few minutes until the veg is just tender and the meat is cooked through. Add the seaweed and turn off the heat, allowing the seaweed to steep for a couple of minutes. Serve up in big bowls and enjoy! THIS CLASS IS NOW SOLD OUT – the next class is on May 6th, so please see that event or booking page. BOOK HERE. This is a very popular class so book early to ensure a place! Early bird price of £40 applies if booked by December 31st, subject to availability. Full price of £50 after this date. Please note, booking closes on January 21st to allow for ingredient purchase, information production, and staffing. Please note: bookings for events are non-refundable, but attendance can be transferred to another event or a later date at my discretion if I’m informed a week or more prior to the event, or two weeks prior for a cookery class. Feeling in need of a boost as the seasons change? Improve your health and lose weight in time for the holidays in the 4 Weeks to Fabulous group mastermind for serious results and high accountability! The summer is here, and we’re half way through the year! As we head towards the holidays, plan to feel your best with my mid-year mini-bootcamp. Join the 4 Weeks to Fabulous review and reboot mastermind group for a fast track to boosting health all round as well as positively impacting weight, water retention, hormones, stress levels, and mood, and all over a period of 4 weeks. I’ll give you a sample eating plan, shopping list and store cupboard staples rundown, plus recipes, advice, daily motivation, support, and weekly live Q+A sessions within the group on its Facebook page. You give me daily feedback on the motivation thread, pictures of your delicious, healthier, happier meals, and your wins, challenges and questions. The 4 Weeks to Fabulous secret Facebook group. No fuss, no emails, just the tools, advice, professional support, and likeminded community you need to boost your health! We start on July 2nd. So what are you waiting for? Take your foodie health to a new level with The Functional Foodie hub! You love good food and great health. 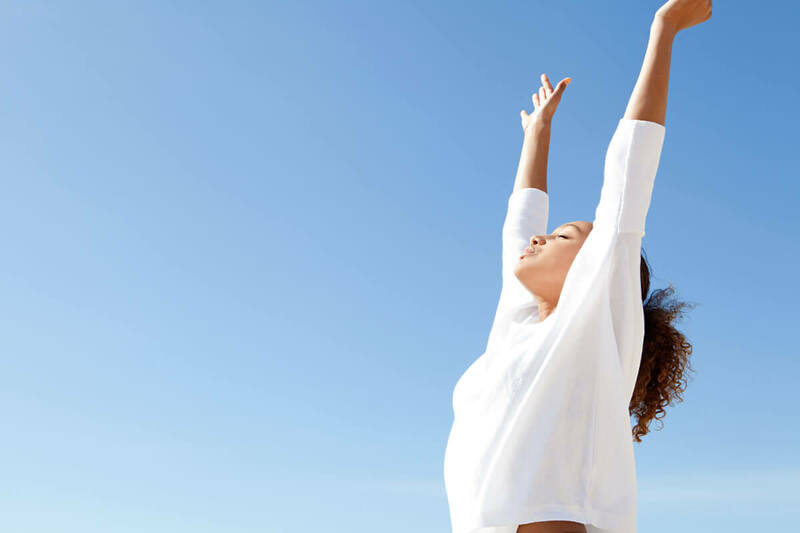 You live life to the full, and want the energy and joie de vivre to squeeze everything out of every day. So, how do you do that, with all the demands of modern living? Keeping up to date with the latest news, information and advice on health and food is an essential part of protecting yourself and your loved ones. Recipes, health information, wellbeing motivation, and the most accurate advice – that is what the hub is all about. We all have health concerns, or have loved ones who do. What would it be like to be able to access the professional input of an experienced functional nutritionist without having to spends hours, and a fortune, in consultations? Get the latest, researched knowledge and advice every month, with a different issue, condition or niggle under the spotlight each time. Members can access my advice round up on the focus issue, a targeted recipe and demo video for that issue. Our private Functional Foodies closed Facebook group is yet another benefit of joining us. Food is the ultimate healer – it’s our fuel, our nourishment, our daily foundation for energy and existence. What could be better than knowing exactly what foods can do to heal and protect, with recipes right there for you to use? Each month members have access to recipes targeted at healing the health focus for that month. As the months go by, the scope of professional advice and healing recipes broadens and builds. Your personal health library and cooking bible, all in one place. Get the inside track on foodie health from me every month, with videos, targeted recipes, your questions answered, and a private Facebook community, plus an extra recipe hub and exclusive resources. Daily healthcare made easy! In January we had Real Food for Real Life: What IS the ideal diet? In February I talked about The Omega Question: The essentials about fats. In March I gave members the inside track on Supercharging: Easily boost the nutrients in your daily diet. In April I’ll let Foodies in on Beating the Bloat: The causes and how to beat it. May will be about Gluten: Hard to stomach? In June we’ll examine The S Word: Conquering the sugar monster. And so it continues every month! There is so much confusing information out there, often contradictory, and it can be hard to know who and what to trust. This is a place where my members’ questions and concerns are addressed, where information can be relied upon, and where you’ll get the inside track on health and how to use food as daily healthcare. The professional input of an experienced functional nutritionist at your fingertips – what’s not to like? The price for full annual Foodie membership will rise monthly this year as the content keeps on going and keeps on growing, so joining earlier locks in a year of amazing value for an incredible price – in April it’s only £55 (approx $78 USD). Awesome value! 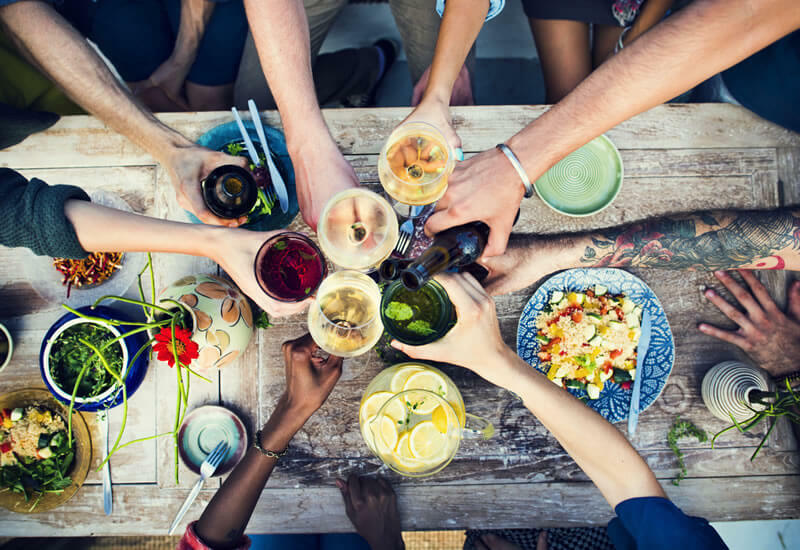 Check out this blog post on how to influence your mood with food – it’s the essence of functional food. Check out the hub and membership here. Getting the real food recipes out…. What a whirlwind life has been since Christmas! Besides being offered a twice monthly radio show (more details soon! 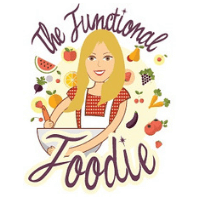 ), I’ve been busy loading fabulous recipes, health advice and resources onto the Functional Foodie membership, course and recipe hub website in preparation for launch later this month/early February. Here’s my new logo, looking amazing on an apron that my brother and sister-in-law (coincidentally also my designers and tech wizard, David Jarvis and Tamsyn Jarvis at Skim New Media Ltd) had made for me for Christmas. Such a thoughtful gift – it means my videos are Functional Foodie to the max too! So, if being health conscious and eating deliciously are your thing, keep a lookout for the launch – with a free membership option, and the full Foodie membership for even more targeted advice, monthly health bundles, resources and recipes, plus a building choice of dedicated courses and programmes to put your health back in your hands, my aim is to make this a one stop shop for delicious, actionable health and happiness! What is it that you want to know, or want access to as a member? Let me know – the more I know about the information and advice that makes achieving health easier for you, the better I’m able to provide it. Gluten – friend or foe? Deck the tree with (healthy) cookies! Make Your Own Vitamin C, It’s Easy! Probably the question we're most frequently asked, but how often do we ever stop to consider how we really are? Not just physically, but mentally and emotionally too. The trinity of body, mind and spirit combine to define us as whole beings. If something's not right in one, it can show in another. Mental stress can lead to physical illness. Negative emotions, even carried with us from childhood, can result in physical or mental symptoms. Physical pain can create frustration, despair and depression. Trinity Holistics approaches health in a unique way - not just with treating and healing, but also arming people with knowledge. Understanding how to work towards being healthy in body, mind and spirit is the first step to being whole. Then there's truly a positive answer to the question "how are you?"